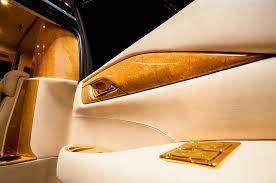 Cadillac Escalades have always been made with idea of being BIG and LUXURIOUS. 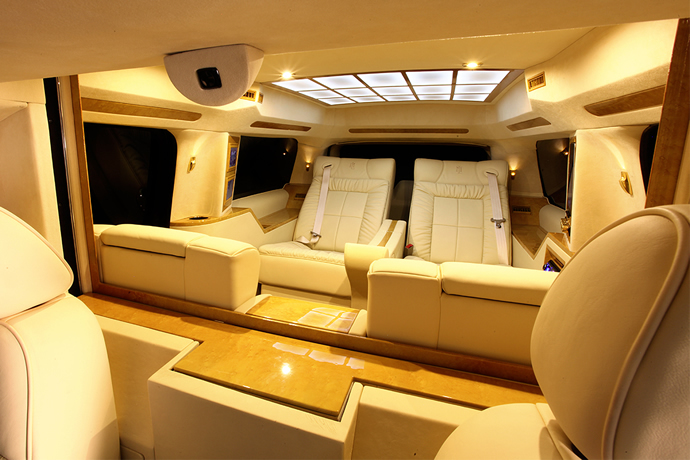 But what if you wanted to up the ante and take an Escalade to an even higher level? Well, Lexani Motorcars is now offering a service based off of their Concept One ultra-luxury conversion of the infamous pimp mobile. As you can see from the pictures, they have spared no expense, either. Currently, this premium package starts at $320,000, which is more than triple the price of a well-equipped, factory produced 2015 Escalade. In addition to this, the rear cabin- which I originally mistook for a private jet- features its own climate control system, as well as its own privacy glass. Oh, and did I mention that this thing is filled out with 24-karat gold-plated accents, a video conferencing system, a built-in espresso machine, and an electronic security vault? 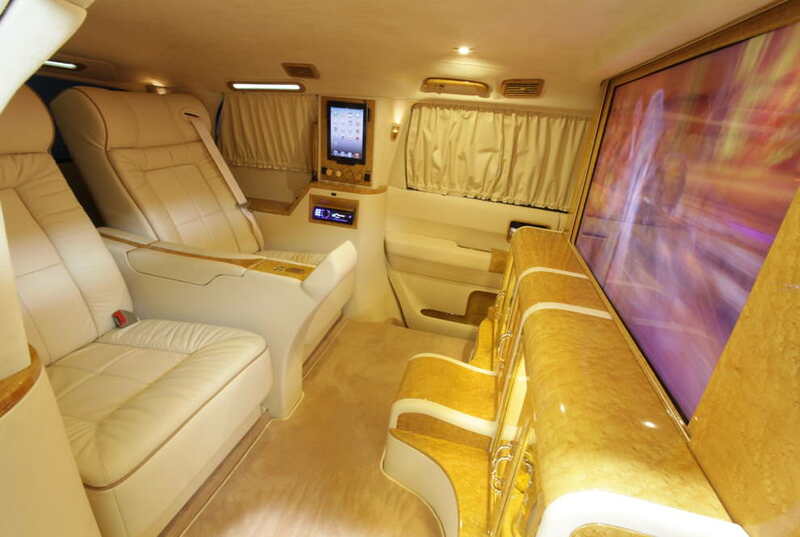 Now, I don’t know anyone personally that would dole out for this upgrade, but I could definitely see Snoop or Dre riding around in this over-the-top opulence. Smoke a blunt for me while you do, big guys! 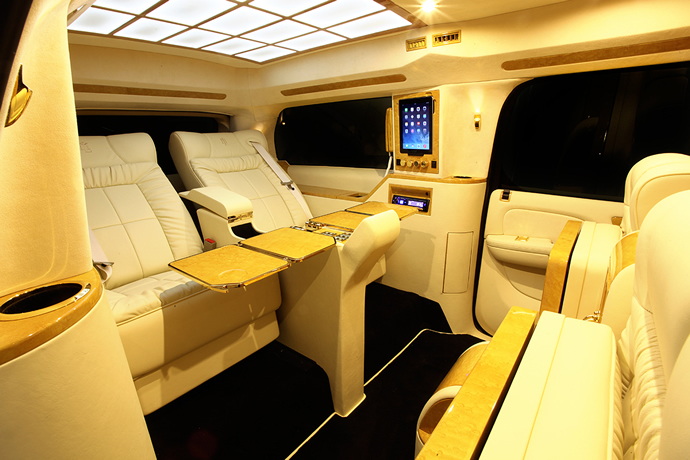 This entry was posted in Culture and tagged cadillac, escalade. Bookmark the permalink.